Another exciting episode of Ask The Guys! Some of the most common questions we pull out of our email grab bag have to do with getting started in real estate with very little money. Makes sense. After all, how popular have all the “No Money Down” seminars been over the years? So while we answer a variety of questions in this episode, as often happens, a theme emerges. In this case, it’s credit and credibility. Whether you’re starting out or starting over, if you’re short on financial resources, it’s important to leverage your knowledge, relationships and potential. Because to attract the money you need to get in the game, people need a reason to believe that you’re a good investment. So lesson #1: People invest in people first and deals second. Of course, after you’ve been investing for awhile, you’ll be faced with questions of “optimization”. And just what is optimization you ask? Glad you asked! As the value of your property changes, so does your loan-to-value ratio. That is, you have more or less equity. Now that some of the bargain properties purchase in the depths of the recession are beginning to appreciate, some lucky investors find themselves in proud possession of positive equity. Remember ypositive equity? Ahh…those were the days – which are apparently coming back! Anyway, optimization is about keeping your equity productive. It’s too big a topic for a blog, which is why we devote quite a bit of time to this topic in our amazing book Equity Happens (humility is for pansies). For now, suffice it to say that debt and equity aren’t idle items on your balance sheet, but important assets (yes, debt can be an asset) to be proactively managed. So we talk a bit about debt and equity optimization in response to a couple of listeners questions. Yes, sometimes we answer questions you didn’t know to ask. What can we say? It’s a gift. And finally, what Q&A session would be complete without some discussion of due diligence? So when listener Jill asks about this topic, which is especially important to long distance investors, we use the opportunity to wax on about this often overlooked topic. All in all, this is yet another powerfully practical episode (in our once again not-so-humble opinion) of the Ask The Guys series. Rehabbing is all the rage right now. The opportunity to snap up distressed properties, pretty them up and sell them for a quick profit has probably never been better, and lots of newbies and Mom & Pop investors have jumped on the bandwagon. Heck, the opportunity is so good in single family homes that even big Wall Street private equity firms are gobbling up inventory in some of the markets most devastated by the financial crisis. Now rapid fire rehabbing is hardly “passive investing”. There’s certainly nothing “passive” about it – and one could argue that true “investing” is making the money do the work, not you. So we contend that rehabbing is more of a business than an investment strategy. But that’s beside the point. If you decide to be in the business of forcing value into your properties, whatever property type you’re in to, then you’ll like this session because we have a couple of very experienced “turnaround” specialists on the microphones. No matter what kind of income property you own, success is all about occupancy. But if you think it’s hard work to turn over a tenancy every six months, try doing it every night! That’s the challenge every hotel operator faces. Now even if you aren’t in the hotel business and never plan to be, there are great lessons to be learned from those who are. Because at the end of the day, when you pretty up a property, you do it to please another person: the home buyer or the tenant. No one knows more about the importance of pleasing the customer than people in hospitality. So lesson #1 is to be sure you prep the property properly to optimize it’s appeal to your target customer. Of course, this pre-supposes that you are clear on who your target customer is, what they want and what they’re willing to pay for it. If you’ve ever watched an episode of Hotel Impossible, you know that Anthony Melchiorri helps owners see their properties through the eyes of the customers. What a powerful, but sadly overlooked concept! Property owners often create a property that pleases them. Oops. They aren’t the customer! You’ve probably also noticed that Anthony often discovers what the customer wants by talking to the staff. Why? Because when the customer expresses their need or dissatisfaction, the staff are the first ones to know. So a wise owner listens carefully to the feedback from the staff to respond quickly and accurately to the needs and wants of the customer. Do these concepts apply to other kinds of real estate investing? Of course they do. If you’re a fix and flipper, your real estate broker is a great source of information about what the market wants and what they’re willing to pay. Doesn’t it make sense to listen to your broker? Say yes because that’s the answer. Yet, so many flippers go to the market with their own need, instead of focusing on the needs of the market. News flash: the market couldn’t care less about your need. If you want to make money, you need to give the market what it wants. Whether you rent our single family homes, apartments or office space, your property manager and leasing agents will tell you what the market wants. Once again, it pays to listen. “Well, that’s just common sense,” you might say. Yes it is. But have you ever known someone to buy a property in an area they don’t know and then go find a property manager to manage it? It happens all the time. Wouldn’t it be smarter to have the property manager tell you what kind of property, location, amenities, etc. is most in demand, and then go buy that? You get the idea. There’s a lot of real estate wisdom to be gleaned from the hospitality business. And while our second guest isn’t as famous as Anthony, his story is every bit as enlightening. Craig Greenberg takes old, dilapidated “historic” properties and adds a unique attraction to bring people and their money into the property. It’s a fascinating study in creativity and one you can learn from. So listen in as we talk to Anthony Melchiorri and Craig Greenberg and glean valuable lessons from their experiences in finding ways to extract more profit from problem properties. Money is flowing around the globe, seeking opportunity and avoiding risk. But where is it going and why? We’re always fascinated by trying to figure out where the puck is going (a hockey quote by Wayne Gretsky) . And (to horribly mix metaphors), sometimes you need to get a bird’s eye view to see the whole field. But (to worsen the metaphoric catastrophe), if you want to ride the wave of capital flowing around the globe, you have to take time to study the trends. Does all that sound like hard work? It is! But we’re here to help. So for this episode of The Real Estate Guys™ radio show, host Robert Helms ditches co-host Russell Gray and flies solo to Orlando, Florida to attend the RE/MAX Encounter the Americas conference. While there, he captures interesting interviews with three gentleman who are in great positions to offer valuable perspectives on the trends in global real estate. The RE/MAX Encounter the Americas conference brings together company leaders and agents from all over the world, with an emphasis on Latin America and the Caribbean. And because RE/MAX is one of the biggest players in real estate brokerage, they have lots of data, both statistical and anecdotal. So we’re excited to bring you the Cliff’s Notes from these high level execs. Larry Oberly‘s job is to expand the RE/MAX network around the globe. To decide where and how to get into various markets, he gathers data from professional associations, local agents and search patterns on RE/MAX websites. Think about that. Before people move or invest in a market, they start doing research. And when they get serious, they start honing in on neighborhoods, properties and price points. These days, almost all of that happens on the internet, providing valuable insight to a guy like Larry. Next up is Ricardo Cardenas. This interview is worth listening to just because Ricardo has the coolest Latin accent. But of course, the big bonus is the insights Ricardo has to share about what’s happening in his part of the world. Even though Brazil is part of the group of emerging growth economies known as the BRICs (Brazil, Russia, India, China), it isn’t the only strong economy in the south of the Western Hemisphere. And as these nations make more money, more real estate business is being transacted with both domestic and foreign buyers. In other words, people want to buy property there. Ricardo shares some of the work being done to improve business systems, professional cooperation and standards of real estate brokerage practice. Just as standardized hardware and software protocols have made computers more friendly and accessible to more people, so will increasingly standardized real estate practices attract more buyers and their money to these markets. It’s all part of the critical infrastructure which facilitates the flow of capital to and from real estate markets along the international financial highway. We watch it because it helps us anticipate where and how fast money will flow into a market. Last, but certainly not least, Robert reconnects with John Turley, our good friend, 2013 Investor Summit at Sea™ faculty member, and top real estate broker in the country of Belize. If you’ve been listening to the show for awhile, you know we’ve had John on before – and that The Real Estate Guys™ LOVE Belize. In fact, John is a featured speaker on our Belize field trips. Now John’s perspective on international real estate is a little different than Larry’s or Ricardo’s because John is focused on Belize. And rather than a top down view, John is in the streets every day talking with real life home buyers, investors and developers about where they come from and why they’re interested in a place like Belize. That’s how we got to know him. For a market place that owes a big part of its revenue to tourism, you’d think the dour U.S. and European economies would have taken its toll on Belize real estate. Not so. We’re pleasantly surprised to find that values in the Belize real estate market never really tanked like they did in so many over-leveraged and over-built markets. So big lesson: be careful not to look at the world only through the filters of your own perspectives and paradigms. How it is for you and where you are may not be indicative of what’s happening in other places. That’s why we make it our mission to get around to these other places and learn how other people are seeing things. But we know it’s hard for you to fly all over the place like we do, but no worries. That’s why you have us. Enjoy! Lodging and hospitality is a business that involves providing real estate and an array of services to business and leisure travelers. That’s pretty straight forward. As real estate investors, any time there’s real estate and cash flow, we’re interested. And when you do the math on nightly rentals, you can see there’s some real opportunity in the hospitality sector. But it’s a very different game than just renting out single family homes. Like any business sector, there are trade groups, conferences, industry publications and gurus who cater to hotel investors, owners and operators. One of our favorite resources is Lodging and Hospitality magazine and their annual Lifestyle Boutique Hotel Development Conference. So as we’re making our plans to head to Miami Beach (like we really needed an excuse for THAT), we thought it would be fun to dedicate an episode to talking about what’s happening in hospitality. One of the many things we love about real estate is there are LOTS of ways to make money. One of the sexier ways is hospitality. Hotels, bed and breakfast inns, and resorts are among a few of the property types in this sector. And while there are certainly crappy properties, the odds are you’d probably rather spend the night in your hotel than your Section 8 rental, right? What’s really interesting about lodging and hospitality is the premium guests pay for short term rental use (nightly or weekly versus month to month). So even after you factor in all the expenses, the numbers can be pretty enticing. Just as exciting are all of the ancillary income opportunities. Not only can you make money renting the room, but you can earn additional profits with conference space, restaurants, spas, vending, referral fees to local merchants and attractions, internet, pay-per-view TV, dry cleaning – and the list goes on and on and on. Of course, turning rooms over nightly and providing all kinds of additional services requires a lot more work. Then again, you can sub-contact all the work and simply take a piece of the action. Last time we looked, a little bit of something with no work can be very attractive. And with a diverse income stream, you have many options to increase profitability and adjust to economic cycles. But before you run off and trade all your little green houses in for a big red hotel, it’s a good idea to know a little bit about the business. If you’ve ever watched an episode of Hotel Impossible with Anthony Melchiorri, you know the hotel business can devour an amateur. The good news is that there are resources and experts available to help you learn the business, whether you intend to operate a boutique hotel or simply invest in a property and rent it out to an operator. So if you’re curious about the opportunities in the lodging and hospitality business, listen in on our conversation with Eric Stoessel. This is a sector he’s been focused on for quite some time. Even if you don’t think you’d ever want to own a hotel property, you’d still be well advised to monitor the hospitality sector. The health and direction of hospitality can often be an indicator of the general health and direction of the economy. And in case you’re wondering how the hotel business is doing in this economy, Eric tells us that leisure travel is UP. So if you’re REALLY interested in this sector, you’ll want to join us in Miami Beach when we attend the Lifestyle Boutique Hotel Development Conference. All of the industry leaders will be there. In just a couple of days, you’ll gather up all kinds of resources, contacts and information about lodging and hospitality. So when your portfolio is ready for that big red hotel, you’ll be prepared for success. Did we mention that Hotel Impossible star Anthony Melchiorri will be the keynote speaker? Come check him out! Meanwhile, enjoy our interview with Eric Stoessel. Hope to see you in Miami Beach! In this, yet another exhilarating edition of Ask The Guys, we take on several excellent listener questions! Several (but not all) had to do with making the move to more units, so we look at this as anecdotal evidence that investors are feeling good about this market. After all, it wasn’t that long ago that we were dealing with questions about loan modification, credit repair, strategic default, bankruptcy and foreclosure delay. Fun. Are happy days here again? We think so. It’s hard to think of a better time to be a buyer of investment real estate. With only $20,000 to invest and living overseas, which U.S. markets make sense? Does size matter? A Minneapolis investor is enjoying great cash flow on smaller properties, but feels the urge to go big. Should he? A Texas investor is stacking up cash flow properties and wants to retire to Belize in 12 years (great idea!). Should he accelerate his loans or leverage into more properties? And what’s the shortest path to “critical mass”? A New York investor wants to know if she should use off-the-shelf deal analysis software or build her own spreadsheets. Decisions, decisions. A rookie investor from Minnesota is flipping his first deal – a single family home. He wants to know how to build a true investment business with multi-unit buildings. How can he go from forcing equity to collecting piles of passive cash flow? Another New York investor with 12 residential propeties wants to move up to commercial properties. What do commercial lenders look for? How can he make the leap? A land owner in New Jersey is looking for investors – presumably to help develop the property. He’s tried investor clubs, bars and dating services (just kidding) with no luck. Where can he go to find the funding partners he needs? A California couple have an expensive home that’s paid for, a bunch of cash in a low rate CD, and a half million in retirement accounts. They’re doing great…but want to own more real estate. How can they get there from here? We love your questions! To submit yours, just click on Ask The Guys! The Real Estate Guys™ radio show provides real estate investing news, education, training and resources to help real estate investors succeed. Success in anything, including real estate investing, requires energy, enthusiasm and creativity – especially when working through challenging times. And it all starts with great ideas. In our travels, we have the great fortune to run into some of the most exciting and interesting people in the world. And because we cleverly carry our mobile microphones (which drives the TSA agents crazy), we’re able to capture these amazing conversations to share them with our listeners. Cool. Recently, we caught up with one of the most energetic, creative and prolific authors in history. Now that’s a business (like radio) where great ideas rule. So this episode is about unleashing your creative genius and getting excited about your possibilities – no matter what business you’re in, including real estate investing. If you’ve never heard of Mark Victor Hansen, you’ve probably heard of his work. The Chicken Soup for the Soul book series has been described by Time Magazine as “the publishing phenomenon of the decade” with over $1 billion in global sales. And that’s just one of dozens of best selling books Mark’s been a part of, including The One Minute Millionaire and Cracking the Millionaire Code (both with well know real estate guru Robert Allen). What’s interesting to us is how one little idea can pick up momentum and become a world wide sensation, touching millions of lives. It’s surprising and inspiring when tells us how Chicken Soup of the Soul came about, and how many professional publishers told them it was a dumb idea. It reminds us of how Fred Smith, the founder and creator of Fed Ex, got a poor grade in college for a business plan that changed an industry. In real estate, we can think of successful projects, both large and small, which were considered crazy when they were first proposed. Think about Las Vegas. Many decades ago, southern Nevada was a desolate desert in the middle of nowhere. Not a great location for mega real estate development. Then some Southern California “businessmen” start building hotels. Like anyone would ever want to go the desert for entertainment. How dumb is that? Of course, today Las Vegas is the iconic entertainment capital of the Western United States. In Silicon Valley, there’s a little mixed-use development where shops, restaurants, offices and residential units are all densely packed onto a small parcel on a busy corner just off the freeway. Now if you’re from New York or Europe, that seems normal. But the “experts” didn’t think a project like this would be accepted in the sprawled out suburbia of California. Nonetheless, the “clueless” developer ignored the critics and naysayers and built Santana Row anyway. Today, it’s one of the most successful real estate projects in Silicon Valley. Can one idea be worth a billion dollars? 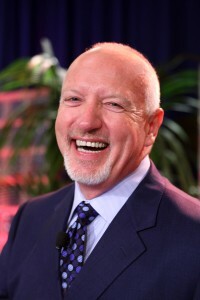 Mark Victor Hansen proved it can be. And every day around the world, “crazy” dreamers are pushing through internal and external resistance to test their dreams in the marketplace. Not every one will succeed. But you can be sure that people who lack ideas or the courage to act on them will never succeed. So dream big and then step out. You never know if your billion dollar pot of gold is waiting for you at the end of your leap of faith. Mark Victor Hansen found his. Tune in, get inspired and learn to unleash the creative genius inside of you! What do the ancient Mayans and today’s financial pundits have in common? They both predict doomsday at the end of 2012. 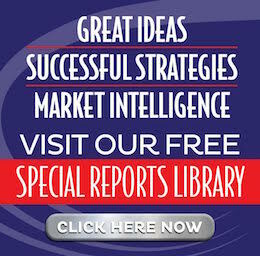 Perhaps you’ve heard about “taxmageddon” and the “fiscal cliff” the U.S. economy is headed toward? It’s when the expiration of Bush-era tax cuts converge with across the board spending cuts effective January 1st, 2013. As you may recall, during “The Great Debt Ceiling Debate” last summer, Congress and the Obama Administration couldn’t agree on how to reduce the deficit (much less balance the budget). But they needed to raise the debt ceiling or (gasp!) Uncle Sam’s checks might bounce. So, they raised the debt ceiling anway (shocker) and agreed to form a committee (great…we were just running low on committees) to come up with a deficit reduction plan. Funny, we thought it was Congress’s job (not some 12 person council) to come up with a budget, but maybe their budget building muscles have atrophied. era tax cuts would expire. This is a defacto tax increase heaped upon the Affordable Healthcare program (“Obamacare”), which was deemed a tax by the Supreme Court. In short, more taxes and more money going to the government. So that’s the revenue side. On the spending side, there’s an across the board cut which indiscriminately reduces discretionary government spending. While we’re tempted to comment on this, it isn’t the topic of this episode, so we’ll bite out tongues (ouch!). So what in the world does all this mean? And most specifically, what does it mean to real estate investors? Scottsdale in August. But don’t worry, we packed our parkas. Our most burning …get it? Scottsdale in August…burning…? Okay, that’s dumb. So, our hottest question for Tom is: with only 4 months to go until the end of the world, what final preparations should real estate investors be making? reminds us that real estate investors who are properly set up should have next to no liability. That is, Tom says that the tax rates mostly apply to TAXABLE income, not ALL income. So if you use all of the great deductions available to real estate investors you can actually conform to the IRS code and still largely avoid any personal exposure to the tax increases. Cool. He goes on to say that most real estate investors shouldn’t be paying any income tax at all. (But don’t worry, we make up for it with lots of property taxes!). Of course, there are still the concerns about the overall impact of more money being sucked out of the private sector and into the public sector. Just like running a business, if you pull resources away from the departments that generate revenue (marketing, sales and production) and spend it on those that don’t (accounting, legal, administration, etc), your business grows slowly. Too much and it shrinks. Keep it up long term and you’re out of business. Now some argue that the spending cuts offset the tax increases, so the net affect on the private sector is minor. In other words, even though businesses and individuals have less money to invest and spend, government is using less. But that doesn’t make sense to us. spending (which is good), but only by a fraction of your deficit, then you’re only going further into debt more slowly. It’s like bailing water in a sinking ship. Unless you can bail it out faster than it’s coming in, you’re still sinking. Not that you shouldn’t try, because thinking slowly is better than sinking fast. But it’s foolish to think that you’ve solved the problem. You’re still sinking. More importantly, if the government is taking more away from the private sector (tax increase) and recycling less to the private sector (spending cuts), then it’s a double whammy on the private sector while the public debt continues to grow. So what’s the answer? We don’t know. We’ll leave that to the politicians and bankers (feel safe now?) since we can’t directly control it anyway. The point is that for the forseeable future, the American economy is likely to struggle. Using effective tax planning, Tom says you can substantially reduce your taxes. Then (we say) you can use the money you save on taxes to invest in helping heal America one property at a time – all the while improving your own financial strength. Abraham Lincoln said, “The best way to help the poor is to not become one of them.” Brilliant! As people in American get poorer, they will need affordable housing. Right now, there’s a ton of inventory in disrepair in the wake of the foreclosure crisis. But investors can step in and purchase these properties well below replacement cost and the outstanding loan balances. This gets the bad debt out of the way, and allows the property to be re-habbed and put back into service. That ‘s good for the the tenant, the community, the economy and the investor. Plus, with each property you acquire, you also pick up a fresh depreciation schedule to mitigate your tax liability. You get more properties, more income and less tax! So listen in to CPA Tom Wheelwright as we talk taxes on The Real Estate Guys™ radio show! Is government too big, too small or just right? And what does this have to do with real estate investing? Guests Steve Forbes and Tom Woods visit to help us consider the controversial subject of the “just right” role of government in the marketplace. As real estate investors, we care about how rules, regulations and even political rhetoric affect our investing. Property taxes, zoning, rent control, fair housing, truth-in-lending, eminent domain, environmental controls; Fannie, Freddie and FHA (lions and tigers and bears, oh my!) affect landlords, tenants, markets, neighborhoods, jobs, loans, etc. Wow. That’s a lot to think about. We just want to collect the rent and have a beer. But, as we learned (the hard way) in late 2008, if you don’t keep your eyes open, a big macroeconomic wave can come wash away all your hard earned investments. And because sometimes it’s hard to see the forest for the trees, we get some big brains to help us see the big picture. So…when you’re Editor-in-Chief of one of the best known business publications on earth, you have TEN digits in your net worth, and you’ve been a serious candidate for the presidency of the United States, we’re guessing you’re pretty well informed and connected. Of course, all that doesn’t make you 100% right (whatever ‘right” is), but you’re certainly qualified to have an opinion. So we ask Steve Forbes where he thinks the U.S. economy is, where it’s headed, and what he thinks needs to happen to make it better. His answer? Get government out of the way so capitalists can do what they do best: start and grow businesses. Great! More businesses mean more tenants for our office and retail properties, jobs for our residential renters, and overall prosperity for everyone. Sounds wonderful. Of course, there are lots of details to be worked out which we don’t have time to discuss… like WHERE those businesses are most likely to happen. But’ it’s certainly a subject we’ll continue to monitor for… pretty much forever. After all, when you distill real estate investing macro-economics down to its essence, it’s really about the cost and availability of capital to acquire properties (the financial markets) and finding tenants, both businesses and individuals, to provide the income. Capital and the cash flow on the capital. So Steve Forbes says smaller government is a step in the right direction. For now we’ll watch what actually happens and see if he’s right or wrong. Next, we visit with a newcomer to The Real Estate Guys™ radio show, Tom Woods. Tom is also a regular fill-in host on Peter Schiff’s radio show. And since Peter is joining the faculty of our 2013 Investor Summit at Sea, we figured Tom was a guy we’d like to meet. It turns out that Tom is working on a film called The Bubble. Interesting! Tom tells us the film is about a cast of characters who accurately predicted the mortgage meltdown which kicked off The Great Recession we’ve all been enjoying so much these last few years. He says the reason these economic gurus knew the problem was coming wasn’t based on complicated or highly secret formulas, but rather basic economic principles anyone can learn. Do tell. The key, he says, was to pay more attention to what the politicians and bankers actually DID, then all the reassurances they SAID. In other words, government and Fed actions were painting a picture – and it’s not always the same as the story they tell. It’s indisputable that the mortgage meltdown and resulting recession had a PROFOUND impact on the fortunes of real estate investors in EVERY market. So it seems to us that understanding why the meltdown occurred and more importantly what is likely to happen to going forward, should be of HUGE interest to every real estate investor. Now, if you’ve been listening to the show for the last three years, you know the meltdown and its underlying causes has been one of our major themes. We’ve sought out many experts on economics -specifically of the Austrian school (like Tom) since most of the people we know of that were the most accurate in predicting the bubble subscribe to the Austrian philosophies. Of course, a lot of these Austrian guys disagree strongly with most of the bankers and politicians running the show right now, and they aren’t afraid to say so. To us, it’s kind of like watching a movie. It’s really hard to find a movie that doesn’t have some violence, profanity and/or sexuality. Some people are offended by it. Some people really like it. But if you want enjoy the story the movie tells, you’re likely to get some things that rub you’re the wrong way. Like Steve Forbes, Tom Woods thinks the answer is less government and more free market. We know people who are anarchists and think the government should be completely eliminated. Then there’s the crowd who think government needs to own and control everything to make sure it’s all distributed amongst the people “fairly”. So too big, too small or the ever elusive “just right”? We think it will be a never ending tug-of-war between differing agendas. And no matter what you or we think “just right” conceptually, in the real world (where all our money and investments are), it’s a constantly moving platform. As a real estate investor, your mission (if you choose to accept it) is to look through all the noise and decide what you think is most likely to happen and why, then invest accordingly. We may not like the rain. But we watch the weather report anyway, then we dress accordingly. And yes, we know the weatherman is wrong some (if not most of the time), but it’s better than not watching at all. So take a listen to Steve Forbes and Tom Woods, then watch the political weather vane to decide how you want to dress your investing in the coming months and years. Of course, if you’re reading this, then you’re probably a person who is working hard looking for new ideas. Good job! We hope to reward your diligence with this episode of The Real Estate Guys™ radio show. We’re big fans of looking for clues in the news. It helps us gauge the mood of the market, track trends and recognize opportunities. Best of all, there are thousands of reporters in the world all dutifully watching various aspects of our wonderful world and whipping up headlines to catch our attention. And thanks to the internet, search engines and mobile computing, we have access to virtually all of it in the palm of our hands. Amazing. The challenge is that sometimes those sensational headlines don’t always tell the whole story. In fact, sometimes the headlines are more like head fakes. Case in point: Recent reports about the Memphis (and Atlanta) real estate markets make it seem like real estate investment opportunity there is in free fall. But having been to both places, those gloomy headlines don’t quite line up with our first hand observations. This gave us an idea for this episode, so we decided to compare mainstream media headlines to main street real estate reality and see what the real deal is. More, we wanted to see where the opportunities might lie. After a few weeks of having our heads in the macroeconomic clouds, we come back to earth for a reality check with our good friend Terry Kerr. Since we needed a new episode, we called Terry from the studio and broadcast the whole thing. Now you get to listen in too! And even though we talk about Memphis, there are lessons for all investors, no matter what market or markets you’re mesmerized by. So we start out talking about what we’re reading in the mainstream press. Falling prices, increasing vacancies, more foreclosures. Eeeeek! Terry tells us that his occupancy “has never been higher” and confides in us his secret to occupancy success: below market rent for an above market property. Brilliant! And in a market that is “plagued with vacancy” according to the news, this tactic is working beautifully for Terry. And because the cash flows are SO strong in Memphis, his properties are still very profitable. In fact, we take some time to talk about how accepting slightly less than market rent can actually IMPROVE PROFITABILITY by minimizing vacancy and turnover expenses. Yes, it’s common sense. But you’d be amazed at how many investors push the rents in their quest for profitability. We call it jumping over dollars to save pennies. This takes us down the path of taking a market weakness and turning it into a competitive edge. Terry’s properties are cheap. Er, we mean, inexpensive. Actually, his properties are quite nice. When we visited and toured several properties and neighborhoods we were very pleasantly surprised at how nice they are. Not what we expected in the $60,000 and less price range. The problem with these “appetizer” properties is that it can be hard to find lenders who want to do loans for them. We investors, we get excited about a $12,000 down payment. But the too big to fail banks aren’t falling all over themselves to make $48,000 loans. But while lack of conventional funding might hinder the success of lesser investors, Terry turned it into an advantage. Leveraging his successful track record, Terry made a deal with some local banks. He guarantees the loans and the banks finance his buyers. Then, Terry’s team manages the property for the investor so he actually controls the condition and cash flow of the property. We don’t know about you, but that’s the kind of motivation we want our property manager to have! And, as you might guess, having financed over 300 properties this way, he’s never had a loan go bad. Very impressive. What’s even better, Terry is now able to help people – like foreign nationals and others – who are locked out of conventional financing to start or expand their investment real estate portfolio. So while some people may glance at the headlines and think there’s no money to be made in a place like Memphis, creative investors like Terry Kerr are finding ingenious ways to not merely survive, but thrive. These are great lessons for all real estate entrepreneurs everywhere.